Southbound Sheboygan empty hoppers pass the pond at Cedar Grove, Wisconsin. 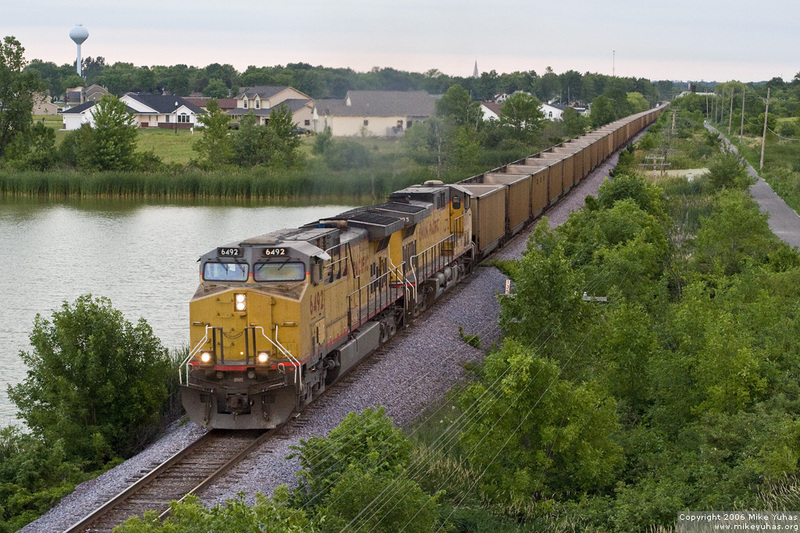 The crew had pulled the first half of its train from the Edgewater generating station at 5:00 PM, the second half at 7:00 PM, put the train together, conducted a brake test, and departed Sheboygan at 7:50 PM. They'll arrive Butler around 10:00 PM.